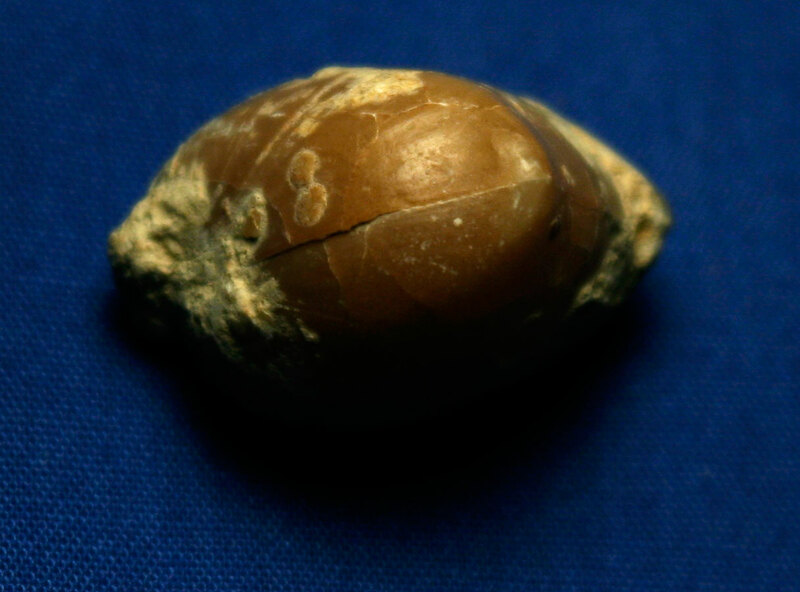 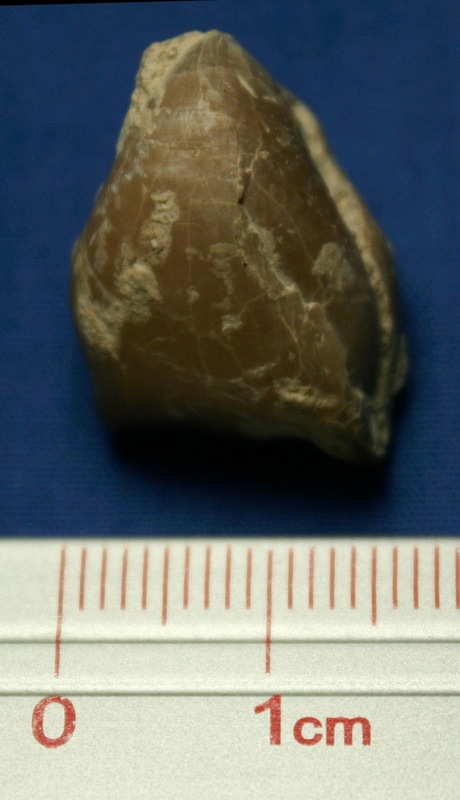 This brachiopod fossil is known as Digonella digona. It was found in Luc sur mer, Normandy, France. 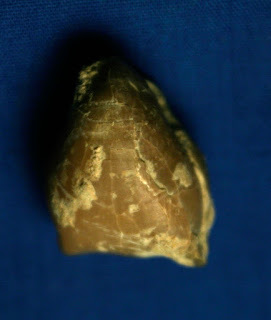 It dates to the Jurassic (Bathonien).